Scientists have discovered an area near the South Pole where the base of the Antarctic Ice Sheet is melting unexpectedly quickly. Using radar to look through three km of ice, the team found that some of the ice – covering an area that's twice the size of Greater London – appeared to be missing. The results are published this week in the journal Scientific Reports. 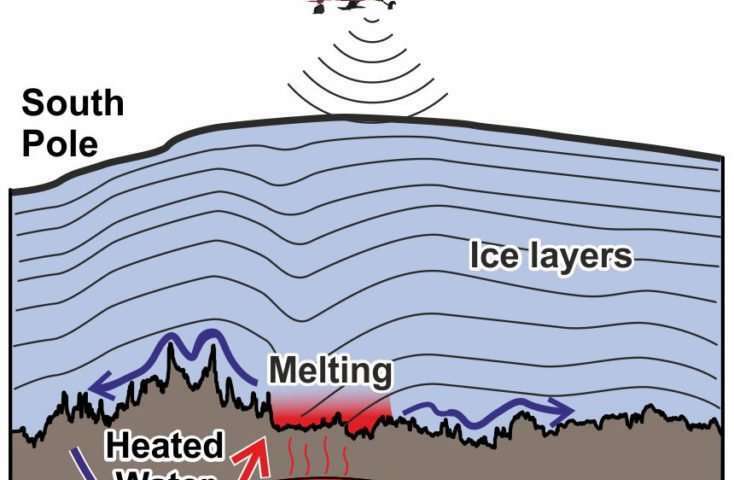 "The process of melting we observe has probably been going on for thousands or maybe even millions of years and isn't directly contributing to ice sheet change. However, in the future the extra water at the ice sheet bed may make this region more sensitive to external factors such as climate change." "This was a really exciting project, exploring one of the last totally un-surveyed regions on our planet. Our results were quite unexpected, as many people thought this region of Antarctica was made of ancient and cold rocks, which had little impact on the ice sheet above. We show that even in the ancient continental interior, the underlying geology can have a significant impact on the ice." "This was a great example of how nations working together can explore the most challenging regions on our planet. 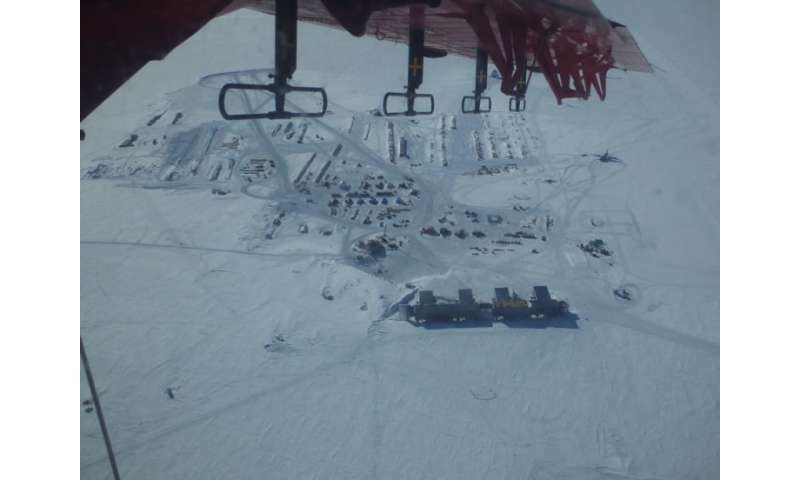 In particular, we thank the US Antarctic program for their great hospitality at South Pole station, and British Antarctic Survey for their incredible logistical efficiency. It is also an example of how a project – originally designed to augment satellite data for the European Space Agency, could produce completely unexpected scientific results."